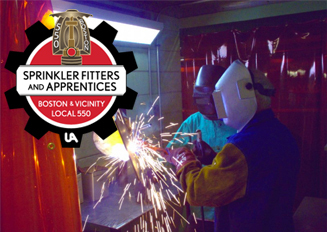 The Officers of Local 550 are happy to announce that Ellis Fire Suppression has signed on to become a new signatory contractor. Ellis Fire Suppression has quietly become a very well respected fire protection contractor in Massachusetts and we are excited that they have now become a union contractor!! This is a great win for our local union to help expand our contractor base and market share. Local 550 is excited to build this new partnership and looks forward to a successful 2017 and beyond!!! !